When Chad and I started the company many years ago we intrinsically ran the business the way we always felt things should be. In many ways our operation mirrored who we as people were. When we brought on our first addition to the team Jon knew what he was getting himself into thanks to already knowing Chad from the past. That implicitness of who we are came to a head this past year when we set out to finally add another team member (always long overdue). We felt for this position that it was important to be very deliberate about finding someone who was not only outstanding, but brought a unique perspective. It was very likely this would be someone we did not know. Being a very small company (3 at the time) we had an uphill battle to face in order to attract the person we were looking for. As a job seeker, it can be risky to join a small team. Besides the obvious questions of company financial health, benefits, etc there is the question of whether one will feel welcomed, get along professionally with everyone, and if they would jive with the culture. We have to sell ourselves hard in order to compete for the best. 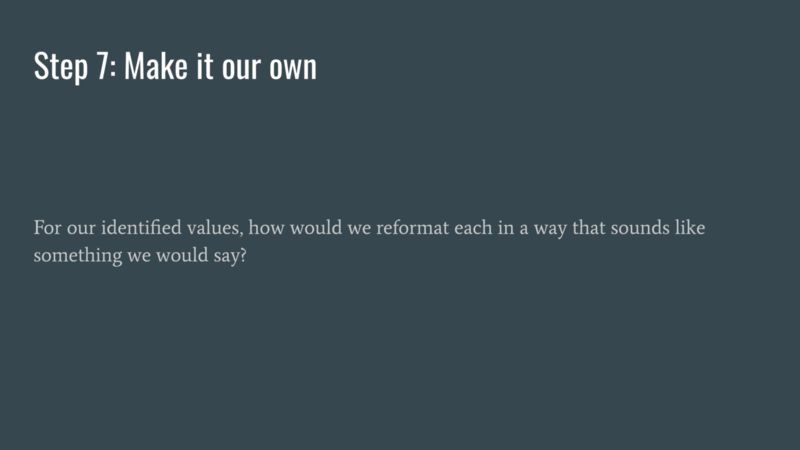 With that in mind, we decided it was important to step back and put into words how exactly we operate; what we believe in so that we could communicate this to anyone interested in the position. It could not be something manufactured about how we wished we operated, but the unvarnished truth. It's the only way we know. 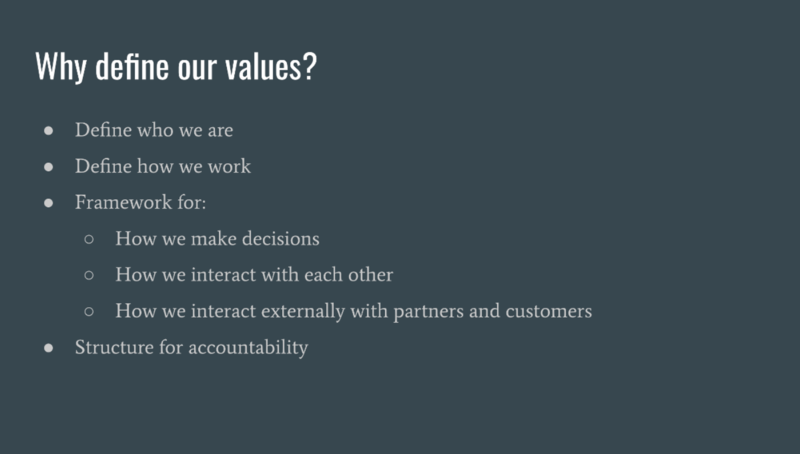 To do that we set about doing a company exercise of discovering our values. I went out and did some (ok, a lot) of research into how we could do this discovery work in a collaborative effort. 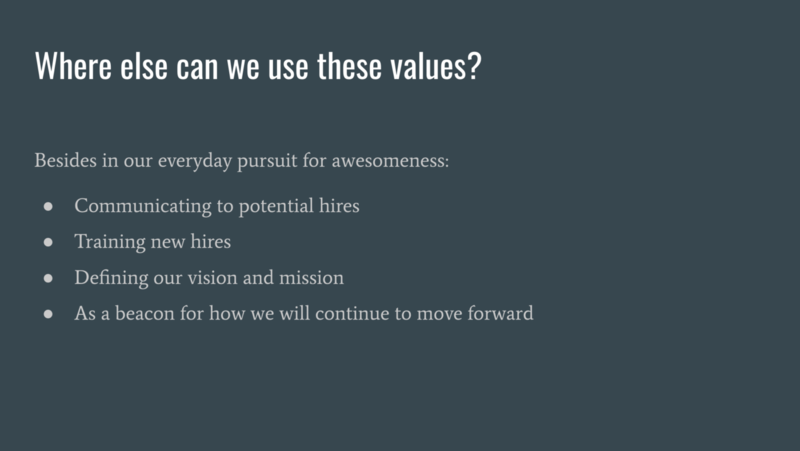 One of the strongest influences on how we ended up doing it was How to Create Your Organization’s Core Values. 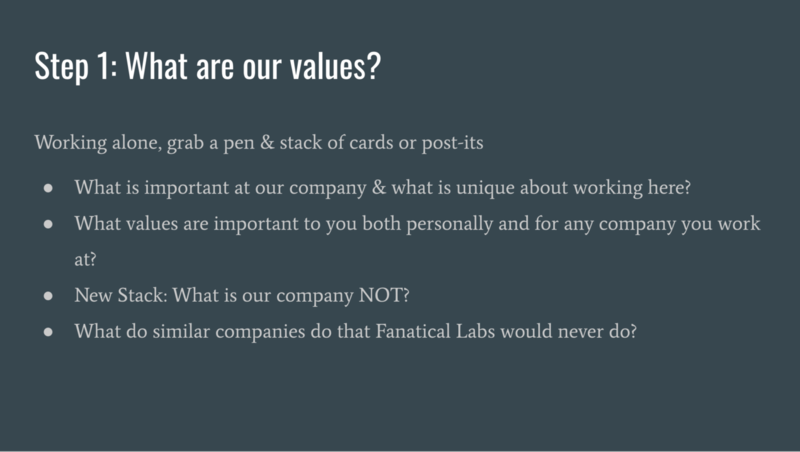 Below is the process that we used to come to our values (linked at the bottom of this post). Feel free to use this for your own discovery session. Hiring isn't the only good reason to go through this exercise. It can also be used to create a framework as your company grows for how decisions are made and how you interact with others. Another good reason is to have something to go back to for accountability purposes. Are you holding yourself to your own standards? Here comes the fun part. Have everyone grab a pen and a stack of cards. Then for the next 5 to 10 minutes answer the first two questions in as few words as possible. Switch it up when things are slowing down and ask the inverse. What are we not and what would we never do? A spreadsheet works great for this step. 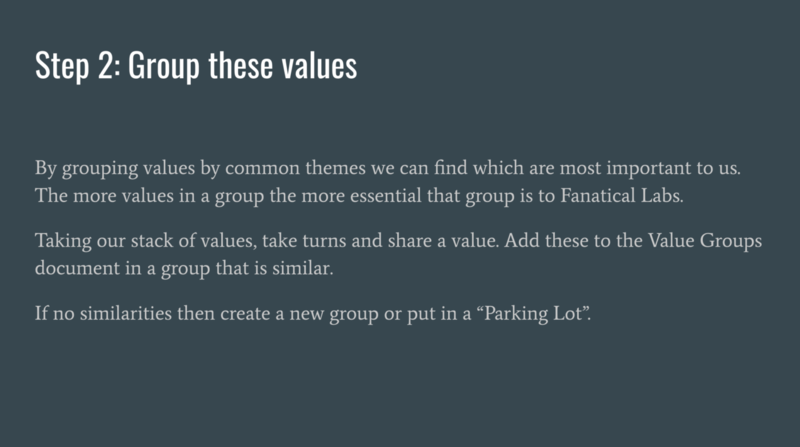 Create buckets for where similar values will go. Have each person list off one of their cards. Add this to the spreadsheet. If something similar exists already then put it below the existing one in the same bucket. If unsure, add it to a Parking Lot bucket. Most of these will find a home by the end. If not, then those are probably not your values. The end goal is to come to 5 to 7 unique buckets. Now that the buckets have been created and sorted, title or label each bucket with a single word that summarizes the contents of that bucket. If a single word isn't possible, keep it as short as possible. These are your value keywords. Back to working alone for a bit. 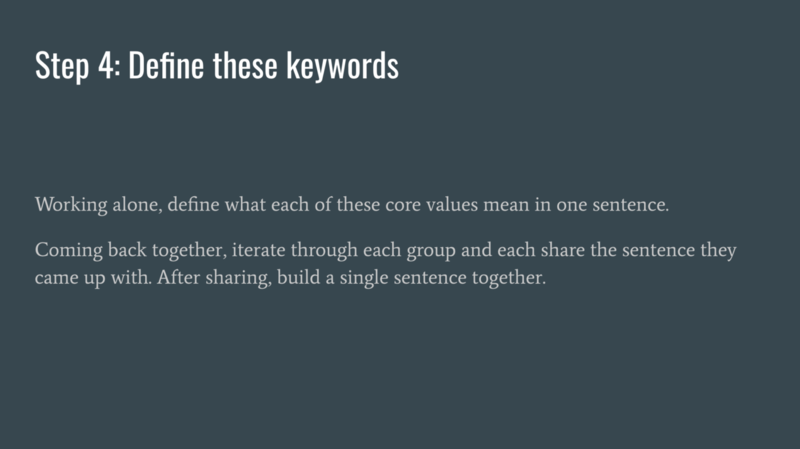 Take each of those keywords and define what they mean to you in a single sentence. Using cards works great for this. 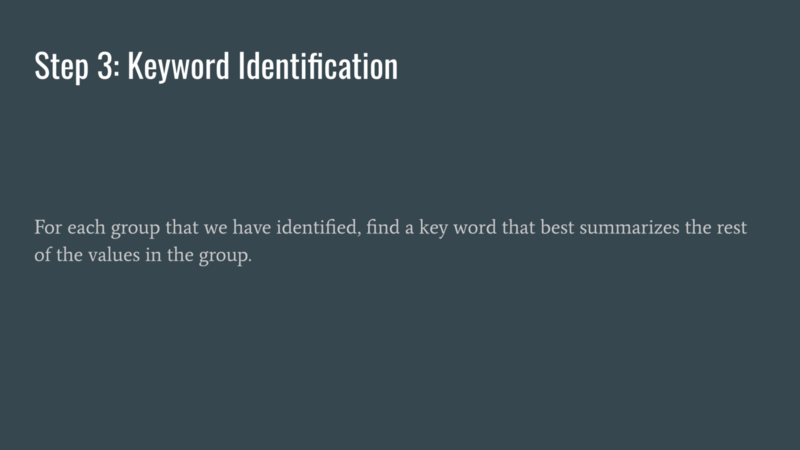 Once completed, come back together and work towards creating a single version for each keyword. 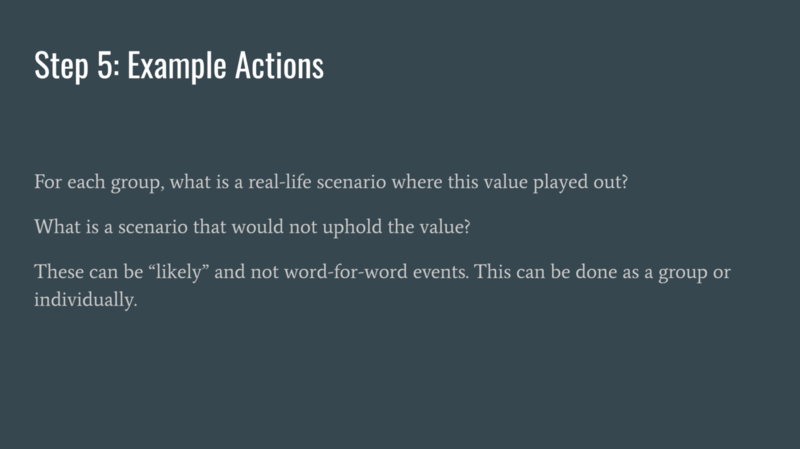 With these values in place, talk through examples of these values being played out and scenarios where they were not upheld. Does any given value truly hold up to these? If not, toss it out. 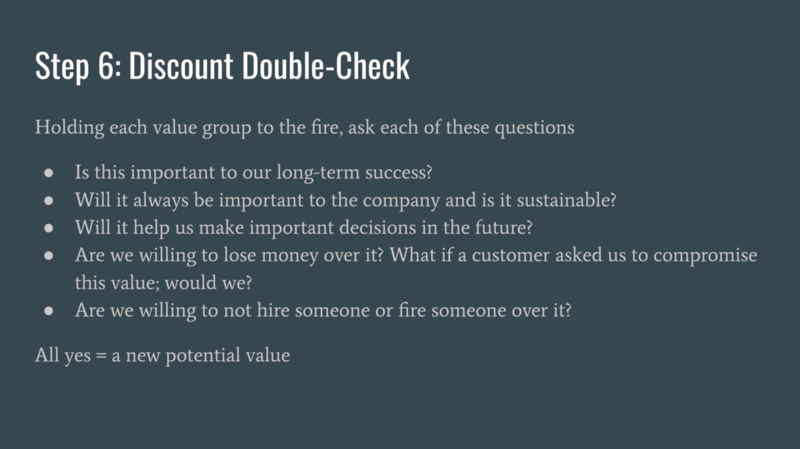 Now hold up each value that made it this far to a checklist to see if it truly is important and critical to the company. Almost there! 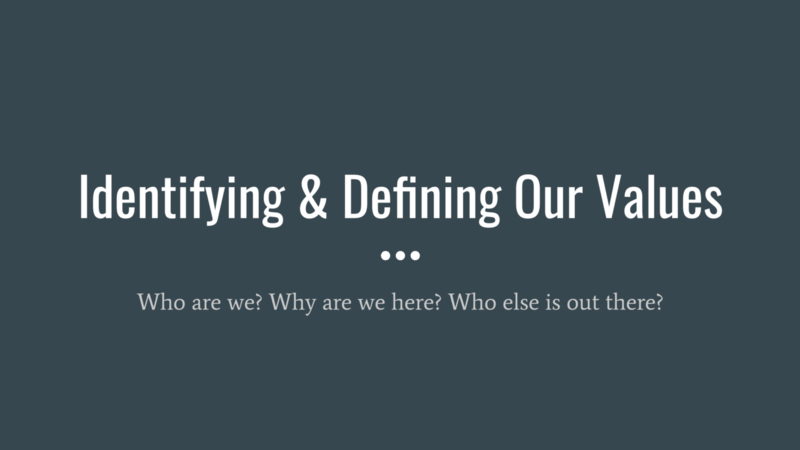 You have your list of core values now. This feels good, but there is one last, important step. Rework it from the polished, perfect version you have to the real, raw way you really talk and operate. You now have a great set of values that are true to who you really are. We found this experience for us to be enlightening and in many cases, reinforcing. If you have not already, I highly recommend going through this exercise. It can be revealing, raw, and eye opening to what you thought you were and who you really are; for better or for worse. Oh yeah, we ended up with over 1,000 applicants for the position and found the perfect person for the position and our values. Hi Heidi!